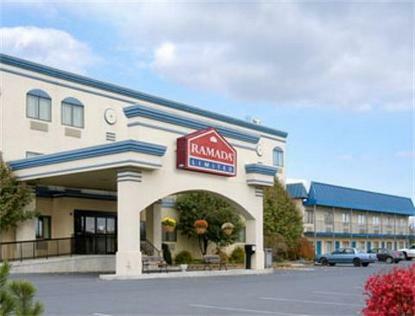 The Ramada Limited Carlisle hotel is located adjacent to Interstate 81, just one mile north of Interstate 76, Pennsylvania Turnpike. This Carlisle Ramada Limited is just three miles from the Carlisle Fairgrounds, the US Army War College and the new American Heritage Museum. Local attractions for guests of this AAA Approved Carlisle hotel are Harrisburg, Downtown Historic Carlisle, Allenberry Playhouse, Dickinson School of Law, Ski Roundtop, and the Carlisle Sports Emporium which offers a variety of indoor and outdoor amusements. If you are looking for a day activity, the Carlisle Ramada Limited is a location for the Hershey Amusement Park, Dutch Wonderland Family Amusement Park, Lancaster County, Boyd Bear Country, Pennsylvania Renaissance Fair, Gettysburg, Allentown, and Cabelas Retail Store. Guests of the Ramada Limited Carlisle hotel will enjoy a complementary deluxe continental breakfast with varying hot items, complementary wireless high-speed internet, and the option of interior or exterior rooms. Please call the hotel for specials and details regarding the car shows held at the Carlisle Fairgrounds.